Lakepoint Resort State Park's 18-hole championship caliber golf course is open seven days a week. Tee times are recommended on weekends and holidays. The Club House offers shower/bathroom facilities and includes a Pro Shop which sales golfing apparel, golfing supplies as well as snacks and drinks. A practice putting green and a driving range is located near the Club House. Golf rates range from $20 - $25 for 18 holes with a cart. The Pro Shop is open Mon. - Fri. from 8-6 and Sat. and Sun. from 7-6. Please call 334-687-6676 for current rates. 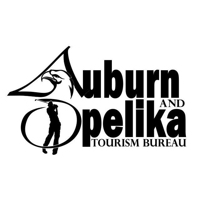 Call 334-687-6676 for rates and tee times. Contact Lakepoint Resort Golf Course at 334-687-6676 for more information and details on holding a golf outing at the course. Contact Lakepoint Resort Golf Course at 334-687-6676. Contact Lakepoint Resort Golf Course at 334-687-6676 for onsite or nearby dining options. This profile was last updated on 06/16/2012 and has been viewed 4,521 times.